All this month Matty’s class is focusing on different life cycles. Each child had to do a project at home and then bring it in for show and tell. This year Matty decided to do the life cycle of popcorn. 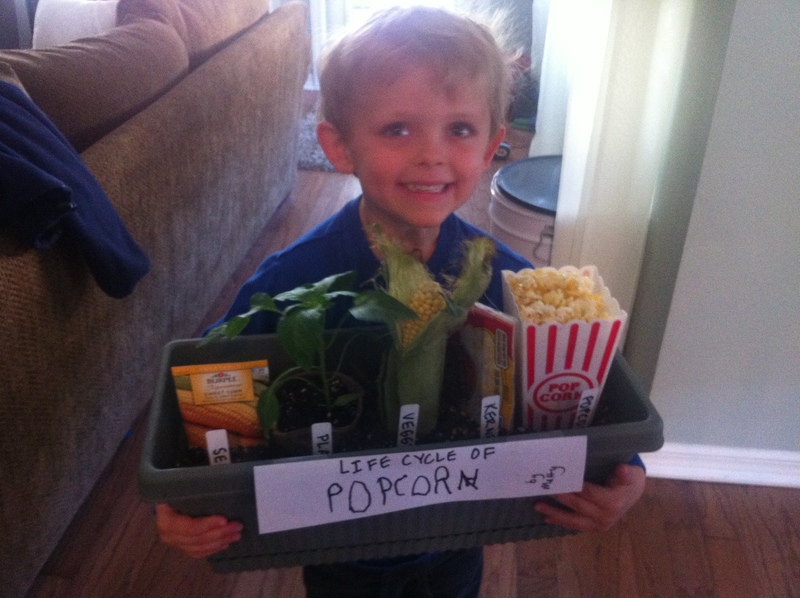 He had the seeds, plant, ear of corn, package of unpopped popcorn, and a tub of finished fresh popped popcorn.